Lawmakers gave first-round approval Feb. 11 to a bill that would require political subdivisions such as counties and school districts to hold a public hearing before collecting additional property taxes generated by valuation increases. 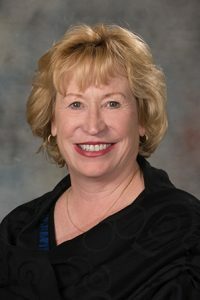 Under LB103, as introduced by Elkhorn Sen. Lou Ann Linehan, if the annual assessment of property within a political subdivision would result in an increase in the total amount of taxes levied using the previous year’s tax levy, the levy would decrease so that the political subdivision’s property tax request is no more than in the previous year. If the governing body wishes to increase its property tax request, it could do so only after holding a public hearing called for that purpose and by passing a resolution or ordinance. 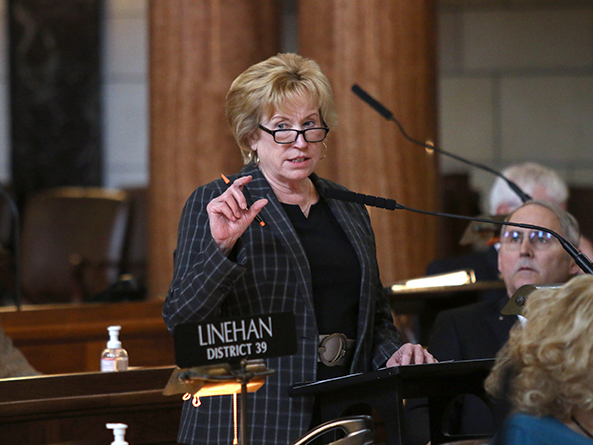 Linehan said she has heard from many Nebraskans who are confused and angry when they see their property taxes increase after a tax rate cut. A Revenue Committee amendment, adopted 35-1, would replace the bill. The amendment still would require a community college, county, educational service unit, learning community, municipality, natural resources district, sanitary and improvement district or school district to adjust its levy in response to valuation changes so that the current year’s property tax request does not exceed the prior year’s. The amendment would require notice to be published in a newspaper of general circulation at least five days before the hearing. A political subdivision with a budget of no more than $10,000 per year or $20,000 every two years could instead post the notice at the governing body’s headquarters. The hearing notice would include the percentage increase or decrease in valuation, property tax rate and total operating budget from the prior year to the current year. Sen. Curt Friesen of Henderson supported the amendment and the bill. LB103 would not reduce property taxes, he said, but it would make the process of setting a property tax request more transparent. “A good board member who has done their job is going to justify that they have to raise taxes,” he said. Bayard Sen. Steve Erdman also supported the bill. A board’s annual budget hearing might draw little public interest, he said, but a hearing notice that specifies a proposed tax increase would get more attention. “That will stir people’s curiosity to show up and share their opinions,” Erdman said. Sen. Mark Kolterman of Seward supported the committee amendment but opposed the bill. He said every public board member understands that if property valuations increase but the levy stays the same, the amount of taxes collected will increase. Another hearing would be redundant, Kolterman said. Senators voted 35-2 to advance the bill to select file.